I took my first Ceramics class (because I could not afford the $50 fee to take photography) taught by Ms. Wendy Farnham at Maury High School in Norflk, Virginia. Though that one class may seem insignificant, she was great and I am happy to have seen her once years later and been able to thank her for an introduction into this amazing art form. Moved to the big apple to really immerse myself in the artistic world. 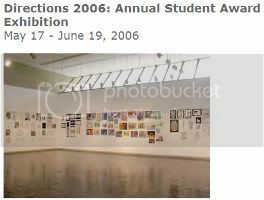 My first art exhibition in "Directions 2005" (May 18 - June 24, 2005). I won a Presidential Purchase Award at the student art exhibit at Kingsborough Community College in 2005 for my mouse vase (ceramic), this was very important for it encouraged me, and validated my method of ceramic creation. The work is now part of the schools permanent collection. I exhibited in "Directions 2006" (May 17 - June 19, 2006). I was honored again but this time with a gallery award which is a lower level award and the school does not induct the work. 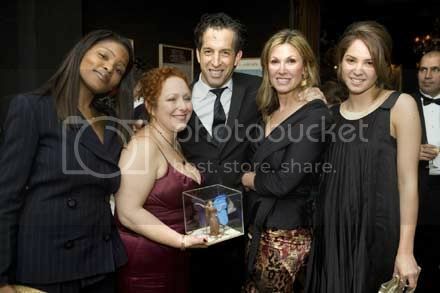 Thanks to Marshall Hill/Mariposa, and the Living Beyond Belief foundation, I had the time of my life working to create a small polymer clay statue for Kenneth Cole which was presented to him at the National Arts Club in NYC. 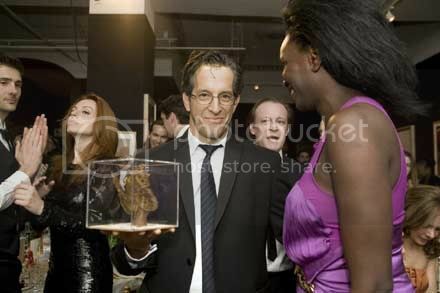 I was honored for the opportunity to be a part of this because I feel that Kenneth Cole is not just another celebrity designer, he is an active humanist, and always tries to help inform people with his HIV/AIDS awareness campaigns. On May 26, 2008, I was invited to teach a youth class at Third Street Music School Settlement on East 11th street. The class taught children the fundamentals of polymer clay and simple hand building techniques. 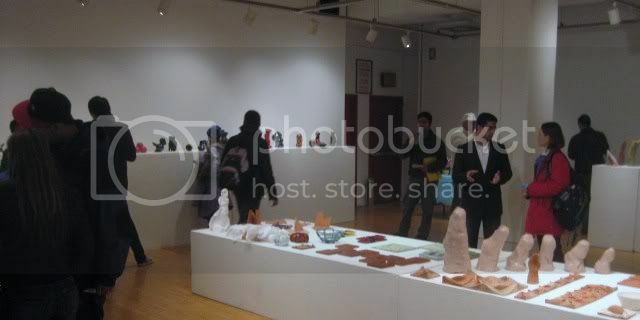 In early March I participated in the City College ceramics student exhibition. View a short video of me at the opening talking about a couple of pieces. Decided to broaden the ceramic knowledge by attending porcelain classes for one session with Bobby Silverman at the 92nd street YMCA. In March, I participated in the annual Ceramics show which is arranged by art critic and professor of City College Sylvia Netzer. More than ten of my own ceramic works were exhibited. In May, I was awarded a work-study scholarship to the Art Students League (57th street) and began taking bronze sculpture classes. December, I exhibited one ceramic vessel in the Phyllis Harriman Mason Gallery @ 215 West 57th Street, New York for their annual holiday show. February, earned my BA from City College.